So, testing myself a bit with the CLIP 3D model again. 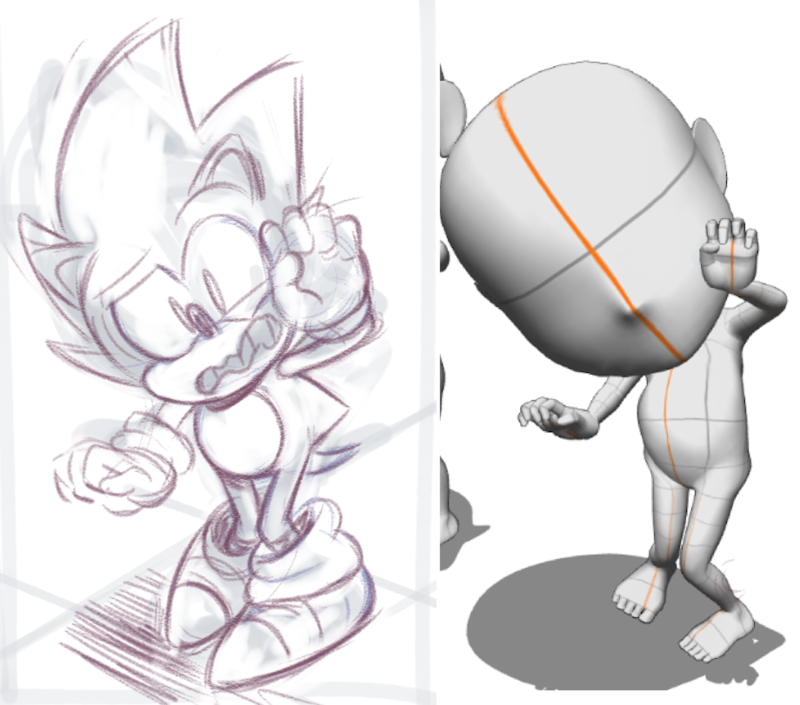 Been getting a lot of Sonic Commissions, and I’m still pretty new at Sonic, so I was that close using an ON-MODEL 3D model of Sonic for the pose, but I told myself to avoid doing that. I made few 3D models in CLIP just for Sonic. This is just a test sketch.